In which G.M. Norton admires the iconic work of Saul Bass. As I've mentioned many times before, I'm an enormous Alfred Hitchcock nut. There's just something about his films that keep my attention, resulting in me watching them again and again. The 39 Steps, The Lady Vanishes, Rebecca, Rear Window - they're all absolutely marvellous. Hitchcock's three films from 1958 to 1960 stand out in particular, which is a combination of the director's signature style added to the haunting film scores by Bernard Herrmann and the film title sequences by Saul Bass that sets the scene for each story so well. A graphic designer by trade, Saul Bass wisely used his skills for films across four decades, beginning in 1955 with The Man with the Golden Arm, through to the 1995 crime caper, Casino. 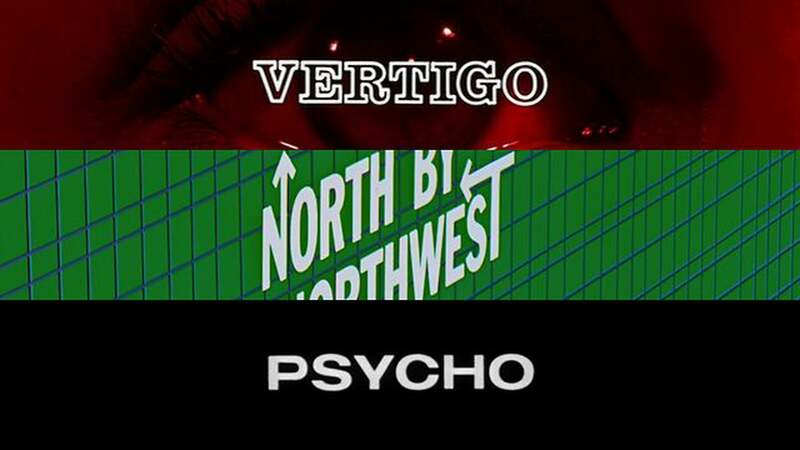 Saul Bass first collaborated with Hitchcock on the haunting Vertigo with James Stewart and Kim Novak in the leading roles. The opening title sequence begins with an intense close-up shot of Kim Novak's eyes, with the audience left to wonder just what is making her pupils dilate so much as Herrmann's film score adds to the feeling of uneasiness. Things don't ease up as it ends with Hitchcock's name spiralling out of Novak's eye. I've previously lauded North by Northwest, starring the fellow idolised by millions, Mr Cary Grant. This is probably my favourite Bass title sequence out of the three Hitchcock films. The green screen is overlaid by blue wireframes set at an angle as different credits quickly race across the screen. Eventually, the wireframe slowly fades and is replaced by the side of a New York office building, and the hustle and bustle of city workers below. Then there's Psycho. Set to an intense film score by Herrmann, doing a sterling job yet again, the opening sequence features a series of horizontal lines choppily moving across the screen. It all adds an air of high anxiety, setting the tone for what was to follow. I'm on edge just thinking about it. Saul Bass was a true pioneer, changing the way films were introduced so that the title sequence conveyed the mood of the story that was about to unfold. Clever stuff.